- Made from durable material that do not harden over time and come complete with connectors. 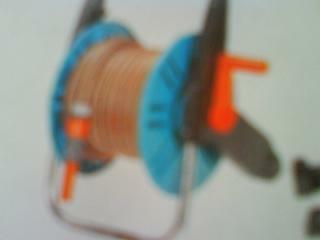 Reinforced hoses are available with or without removable trolley. Hose can be stored in minimum space and can be bracketed onto any wall with provided brackets. Just roll out to the length needed without creating a tangle on the ground. 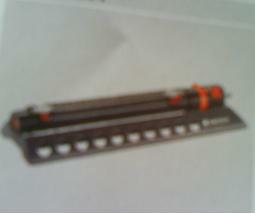 Maximum length is15m – 26 m.
- German quality Oscillating Sprinklers of various types are available. 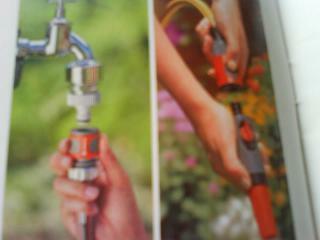 These sprinklers are ideal for watering different sizes of areas and can be adjusted for range and width of spray. 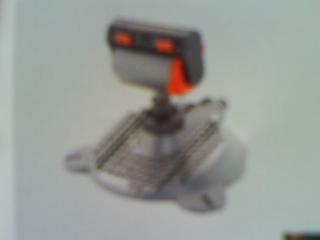 Specifications: The sprinkler area coverage varies between 28 square metres to 350 square metres. The sprinkler range of spray varies between 7 metres to maximum of 21 metres with width of spray between 4 metres to 17 metres. Flowing water always succeeds in giving a garden the WOW factor! 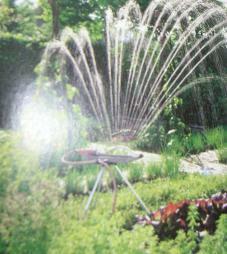 Add utility and beauty to your lawn with Fountains and other water features.